With the phenomenal success of the award-winning series Australia’s Best, Bean Media Group strive for bigger and better things. Australia’s Best has gone from strength to strength, now firmly established as the number one, top-quality business publication in the country. After much research and planning, Bean Media Group decided to take the next step and release a new industry publication, exploring the Asian market. 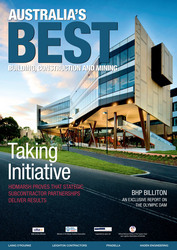 Following the same lead as Australia’s Best, this brand new title named Asia’s Best covers a wide variety of industries including, Building, Construction and Mining, Manufacturing, Food and Drink and Retail. Many top companies have featured in the award-winning series Australia’s Best, including Mc Donald’s, Ford, Coca-Cola Amatil, Toyota, Yokohama and LG. These editorial features are also submitted to Google and Yahoo News, as well as many international business websites, including the International Business Times. These companies fortunate enough to be selected for inclusion have only praise for Bean Media Group and the exposure that Australia’s Best has provided for them. The focus of each magazine is supply chain management, procurement and customer/supplier relationships. Each publication includes editorials, which provide valuable exposure and insight into successful purchasing strategies, as well as up to date news and events. The publication is sent to two or three contacts per company, namely Managing Director, CEO and head of Purchasing/Procurement. According to Chinese philosophy there are three key factors to success: timing and climate, location and human relations. Connections, family ties and informal networks of relationships, are very important in business and life in China. Sometimes it seems like everything is done with the help of a personal contact. Therefore when investigating a company’s supply chain, it is made aware, how strong relationships with key suppliers is crucial to the success of one’s company. These relationships are built on trust and the upmost respect, which will be showcased in Asia’s Best. The Asian manufacturing market is engaged in the production of high efficiency products striving to distinguish their products from their international competitors. They balance various factors of product design, including quality, reliability, and performance. Typically, China manufacturers employ the strategy to export products without assembling them, so that they can minimise cost and time. With such an interesting approach to the business world, Asia’s Best endeavours to explore this market place, featuring companies throughout China, Hong Kong, Macau, Tibet, Indonesia, Malaysia, Singapore and Taiwan.